Winter Storm Harper threatens to disrupt and delay travel back to campus for students just before the start of Spring semester. 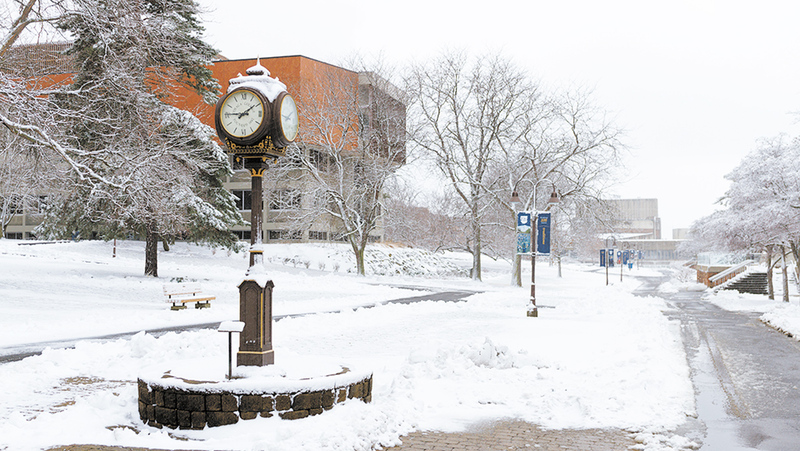 Ithaca College students returning for the Spring semester could face an icy reception on their journey back to campus as Winter Storm Harper threatens to disrupt travel the weekend before classes begin. The National Weather Service has not released an estimate of how much snow might accumulate but said that the storm is expected to hit Ithaca with heavy snow from Saturday night into Sunday and clear out by Monday night. Classes begin the following Tuesday on Jan. 22. The storm is also expected to impact other parts of the Northeast and some parts of the Midwest as well. Dave Maley, public relations officer at the college, said it is important for students to be vigilant when traveling back to campus. Maley said students that plan to return early can see when their residence hall opens on the Office of Residential Life website. He also said it is important to remember that the dining facilities do not open early.